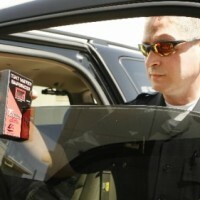 A Canadian paralegal gives advice to a driver who has been recently ticketed for illegal tint. Although TintCenter site doesn’t cover tint laws for countries other than the United States, we are interested to see the national opinion and laws concerning window tint adapt and evolve on a global level. Unfortunately, fighting the ticket there is no clear cut defense. The entire premise for the law is a subjective determination that a tint is too dark for the driver or the tint is considered too dark for an officer looking into a vehicle. There doesn’t seem to be a clear number VLT (visual light transmittance) that is a scientific cut-off for what is legal and what is not. Unclear rules like this discourage the car tint industry as it causes confusion in the buyers and tinters in what is proper with the law.